We got hands on time with the HTC Touch 3G, Touch Viva and most importantly, the Touch HD last week at CTIA. Although we didn't get to delve deep into its Windows Mobile guts, we did spend enough time fiddling with the TouchFLO interface up top that we know how it'll feel for you on a day-to-day basis. You'll be pleased. The Touch HD has a 3.8-inch, 480x800 screen, plus other fancy pantsy specs like a 5-megapixel camera, 288MB RAM and a Quallcomm MSM7201a 528MHz processor. All this hardware comes together to bring a REALLY smooth feel to TouchFLO that's faster than the Touch Diamond, Touch Pro and even the Touch 3G. No glitches or holdups when scrolling horizontally through the menus here; it's the best TouchFLO interface we've seen yet. Typing with the onscreen keyboard wasn't as good as the iPhone's, but was doable with your fingertips because of the huge screen. That 3.8-inch screen is gorgeous, and should be pretty amazing to watch movies on (we didn't have the chance to). It's also not too heavy and not too wide in terms of weight and size, but will most likely be pretty heavy on the price side. 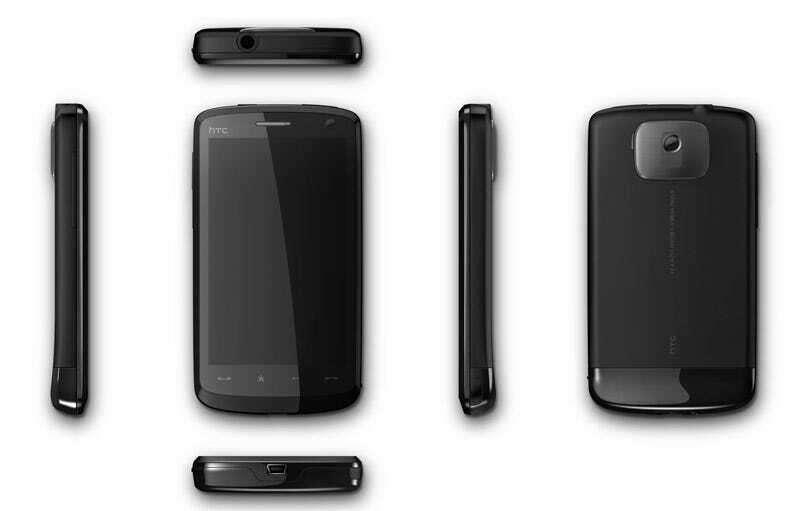 The HD will be a pretty good competitor to full screen touchscreen phones like the Instinct and Sony Ericsson Experia. HTC's Touch 3G, on the other hand, doesn't look to revolutionize the lineup like the Touch HD, but works at improving the original Touch in every way. The form factor is almost exactly the same, but feels taller and thinner. The TouchFLO present on this device is also fairly fast—though not as fast as on the HD—and works well. If you enjoyed the original last year and just want a 3G upgrade, this is the phone for you.